Blog: Plantronics | Avcomm Solutions, Inc. These promotions are offered by several of our manufacturers, and include trade-in offers, cash back, and free product. Details and deadlines for each promotion vary, so scroll through this post for all of the current promotions, or go directly to the brand: BlueParrott, Jabra, Plantronics, Sennheiser and VXi. When you purchase 10 BlueParrott eligible products on the same invoice, receive either a FREE BlueParrott headset or Jabra Speak 710 with this BlueParrott Promo. Eligible headsets include the B550-XT, B450-XT, C400-XT, C300-XT, B350-XT, B250-XTS and B250-XT. 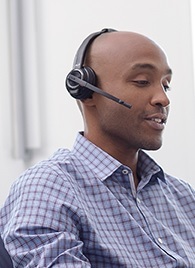 These are the same headsets that can be requested for the free product; or, choose a Jabra Speak 710 UC or Speak 710 MS speakerphone as the free product. Offer is valid until June 30, 2019. The generous Trade Up to Jabra Program is back in 2019! Is it time for a Technology Refresh? For each Jabra or non-Jabra headset or speaker phone traded in, earn from $20-$40 per unit. Purchase Jabra Evolve or Engage wireless headsets, and get $20/unit for existing Jabra Pro 900/9400 or Motion Office headsets or $40/unit for any non-Jabra wireless headset. When you purchase Jabra Engage 50, Biz 2300 or 2400 II, get $10/unit for your existing Jabra corded headsets; or $20/unit for any non-Jabra corded headset. With the purchase of Jabra Speak 710s, get $20/unit for existing Jabra Speak 410 or 510s, or get $40/unit for any non-Jabra personal or huddle room speakerphones. To learn more about the Technology Refresh/Trade-In program and how to save, visit the Jabra Technology Refresh Program site. Earn a FREE Jabra Evolve 65t! The newest offering from Jabra, the Evolve 65t are true wireless ear buds for professionals who work both inside and outside of the office. Customers who qualify as Small and Medium Businesses must purchase eight Jabra Evolve 65 or Evolve 75 headsets; for Enterprise organizations, purchases of 25 and more meet the requirements for the free Evolve 65t ear buds. This offer ends June 30, 2019. Plantronics is continuing its Public Sector discount for organizations in the government, education and health care fields. If you qualify, we will adjust your pricing to reflect this incredible discount on most Plantronics products. The Public Sector promotion continues, offering big discounts to Education (K-12 and Higher Education); Federal, State, City, County and Local Governments; Prime Contractors for Government; Not-for-Profits; and Healthcare Caregivers. This promotion ends March 31, 2019. SupraPlus headsets are being discontinued, so Plantronics wants you to Upgrade Like a Pro and receive a $19 trade up allowance, when purchasing new EncorePro headsets. For a limited time, you’ll be eligible to trade up an equal number of SupraPlus headsets when purchasing any EncorePro headset, to receive a $19 trade up allowance for each headset. All EncorePro headsets are eligible — Quick Disconnect, Digital, and USB models for the EncorePro 500 and 700 series. This promotion ends March 31, 2019. The GovEd Discount from Sennheiser lets you save big! Federal Government agencies, Educational organizations, Energy producers, Healthcare providers, State & Local Government agencies, and Not-for-Profit agencies including credit unions that are 501(c), are all eligible for this discount. Most of the Sennheiser product line is eligible for this discount, including the TeamConnect Wireless speakerphone units! There are a few products that do not qualify; contact us for details. The GovEd Discount ends Dec. 31, 2019. Purchase a new V200 office wireless system and take advantage of the VXi Office Wireless Trade-In Program. For each headset purchased, and old VXi or competitive office wireless headset system sent in to VXi, you receive a $10 check. Download the claim form that's available on the VXi Trade-In web site once purchase is made. Claims must be made within 30 days of purchase, and an invoice must be included with the Trade-In request. For corded headset purchases, there is a $5 Trade-In Allowance with purchase of new corded headsets or amplifiers. Trade in old VXi or competitor products, and receive $5 for each headset sent in. Download the Trade-In Claim form found on the VXi Trade-In web site, complete the information, and include the form, along with proof of purchase, when submitting the old headsets. Claims must be made within 30 days of purchase. Are you ready to talk about new headsets? Give us a call at 1-866-998-9991 or send us an email! New Wireless Headset = New EHS Cable? Now that Jabra, Sennheiser, and Plantronics have all come out with new wireless headset options, will my existing EHS cable still work if I purchase one of the new headsets? The short answer is, "Yes, as long as the new headset is the same brand as your old headset!" And, as long as you are utilizing the same phone brand and model. Here's why: (WARNING: Stop reading now if you aren't interested in the finer details of wireless headset remote answering). EHS cables are built to be compatible with specific phone brands and models; as phone vendors release new phones, the headset manufacturers create compatible EHS cables. EHS (Electronic Hook Switch) cables electronically connect to a wireless headset and phone. An EHS passes predefined signaling. Users can handle calls with the headset only, freeing them from remaining next to the phone. EHS cables provide a ring alert signal to your headset anytime your desk phone rings. It also allows you to answer and end calls right from your headset anywhere within your headset's range. EHS adapters eliminate the need for an old-school handset lifter. Yealink is one phone brand that manufactures its own EHS adapter, compatible with the various headset brands. We sell that as well! Please note: If you switch headset brands, then you will need to also update your EHS cable to the new brand. Or contact us, and our Headset Experts will get you the answers you need: 1-866-998-9991. After all, Communication Is Our Business! Plantronics has announced the Savi 710 and 720 wireless headsets are being withdrawn from production, with the last ship date April 29, 2019, and will be available until supplies last. The recommended replacements are the new Plantronics Savi 8210 and 8220 DECT wireless headsets. Similar to the Savi 700s, the Savi 8200s offer triple connection to desk phone, PC and mobile phone. Some great features of the Savi 8200 series are the large leatherette ear cushions, comfort padded headband, and the Savi 8220 has Active Noise Canceling. Savi 8200 headsets offer 13 hours of talk time on a single charge. You can roam up to 590 feet (environment-dependent) from your PC for maximum freedom. And, convenient voice prompts notify you of mute status, roaming range limits and more. Once we sell through stock on the Savi 710s and 720s, we will continue to sell accessories, and provide support, on these headsets. 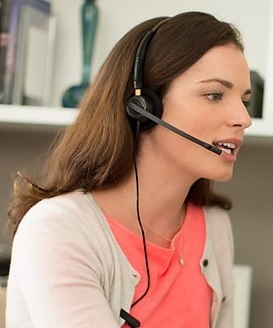 Contact our Customer Care Team at 866-998-9991 to discuss which Plantronics Savi 8200 is right for you! With 10 years in the headset business, headsets are our bread and butter. Of course, it makes sense that we see value in, and appreciate the use of, headsets. We came up with a (brief) list of reasons why we love headsets; and we are curious why others love their headsets. Share the reason why you love your headset on the Comments tab, above. Headsets increase productivity. Studies show that workers using headsets are up to 40 percent more productive than those who don't. Headsets, especially those with integrated busylights, or used with external Busylights displayed on monitors or cubicle walls, are a clear notifier of status ... red means "do not disturb." Productivity increases without interruption. Headsets produce clear conversations. Headset microphone technology has been designed to cancel background noise and focus on human voices, for the best possible audio experience. Headsets protect hearing. Each headset brand has its own patented technology, providing hearing protections that guard against sound spikes and other sound hazards. Headsets provide quiet work spaces. If we can't erect walls and a door around our desk, we can put a headset on our ears and block background noise. To really get the benefits of a quiet work space, we suggest an Active Noise Canceling headset. Read a round-up of all of the ANC headsets we offer here: Active Noise Canceling - The New Trend in Office Headsets. Headsets support correct body alignment and good posture. One of the most important things about body mechanics and posture is alignment: how the head, shoulders, spine, hips, knees and ankles line up with each other. Proper alignment of the body puts less stress on the spine for good posture. Headsets reduce stress. Noise can cause stress: ringing phones and conversations affect the rhythm and rate of our hearts. Interruptions cause stress. Open offices and the noisy environments they produce cause stress. By sealing yourself away from the noise with a headset, stress levels are lessened. Headsets are a fashion statement. Headsets can represent a certain cool, edgy, "don't bother me, I'm busy" vibe. And, with all of the wearing styles available today, there truly is a headset for everyone: from ear buds to headbands, and everything in between, you can choose your look. If you're not feeling the headset love, it may be time for a new, high quality, professional headset. We offer the top brands: Jabra, Plantronics, Sennheiser, BlueParrott, and VXi, and work with our customers to ensure the best fit for each environment and connection type. Give our headset experts a call today at 1-866-998-9991. In its continual effort to advance technologically progressive headsets, Plantronics has announced that the SupraPlus series will be phased out in 2019. SupraPlus headsets will be for sale as long as stock is available. Plantronics suggests the EncorePro 500 series as the direct replacement. The EncorePro series has continued in popularity, with Quick Disconnect, Digital and USB variants that meet the requirements of contact centers and offices around the world. The EncorePro headband has 6 degrees of adjustment and a super soft foam ear cushion that covers the ear. Premium leatherette ear cushions are available as an optional accessory. The EncorePro is the benchmark in headset design, winning an iF Design Award in 2015. The single piece, unibody style microphone boom with tactile and visual positioning is virtually break-free. The aircraft grade structural aluminum joints provide another point of strength. The Plantronics EncorePro 510 is the next generation of our most popular over-the-head monaural headset. Completely re-imagined for the demands of the modern customer service center and office, the HW510 has soft ear cushions for all-day wearing comfort, metal joints that deliver durability and reliability and a flexible mic with visual and tactile positioning guides for precise positioning and clearer conversations. 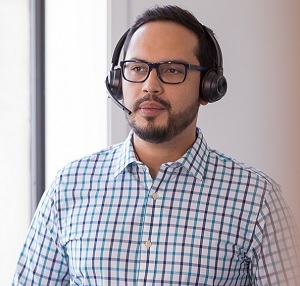 The Plantronics EncorePro 520 is the binaural version of the all-new 510 design, covering both ears to provide greater focus and concentration by blocking background noise. The 520 also has soft ear cushions for all-day wearing comfort, metal joints that deliver durability and reliability, and a flexible mic with visual and tactile positioning guides for precise positioning and clearer conversations.